Adblock Plus is a well known add-on for Google Chrome and Firefox that eliminates all of those annoying and obtrusive advertisements on the webpages that you visit. You've probably noticed that there's also ads on your Nexus 7 when you're surfing the web, so why not get Adblock Plus for your tablet, too? Well, that's exactly what I'm going to show you how to do. This app requires you to be rooted. If you haven't already, enable "Unknown Sources" in the Security category in your Settings. 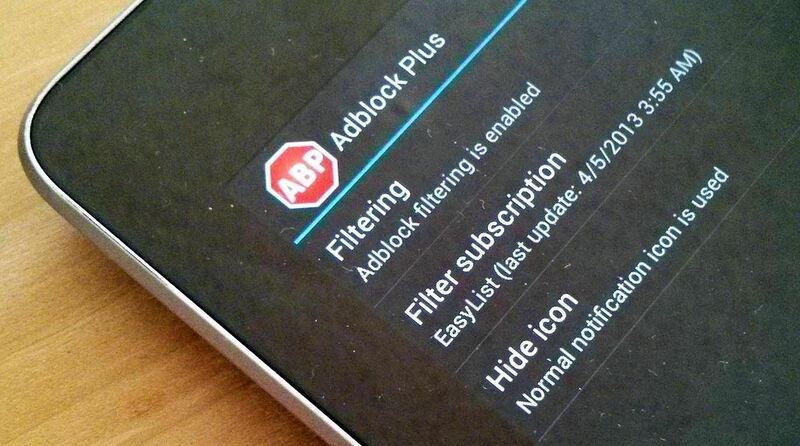 Then go ahead and download and install Adblock Plus using this link on your tablet. Once installed, launch Adblock Plus and tap the "reload" icon for updates. Then configure your Wi-Fi connection. Click connect and say goodbye to those annoying ads! 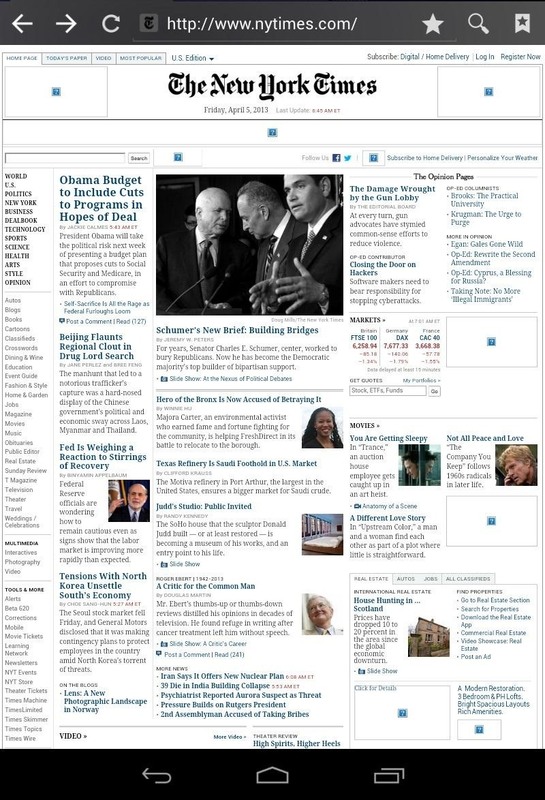 Below is The New York Times before and after Adblock Plus enabled. Though this app needs root, it's easy to download and install, easy to set up, and works system-wide, blocking ads on all browsers and apps. 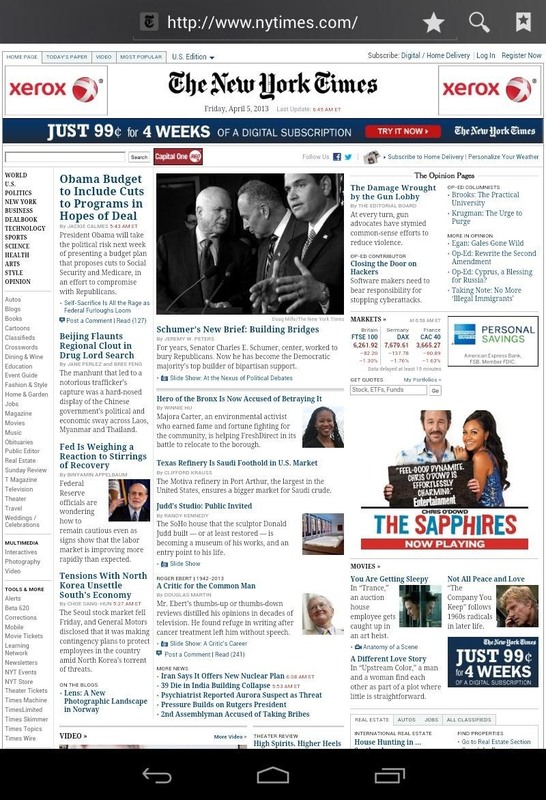 What do you think of AdBlock Plus? Unfortunately it stops you being able to connect to Google Play Store so I had to undo the wi-fi settings before I could test it. It also caused network errors in Amazon apps. What can I do if adds pop up on my tablet home screen? It also sometimes opens chrome automatically bringing me to an add page. Surely unsolicited advertisement regardless of the media should be treated the same as junk mail and if you are prevented from stopping it at source then it constitutes as an intrusion of privacy. We all appreciate the fact that perpetual advertising is a necessary fact of modern day life to promote sales and revenue not only for the Government, the Advertising Agency, the Supplier and the Manufacturer. But we don't need it shoved down our throat every minute of the day it is enough with 122 Freeview Advertising Channels and 32 daily newspapers with associated magazines. Initially I liked my Nexus 7 as a Christmas present but now I despise the fact that I must be bombarded by continual adverts via theAps from Google and Amazon.